Hofstra Pride Guides: Stress Busters! It's that time of the year! No, I am not talking about the upcoming holiday season(although I wish I was). It's the time of the year for finals! This is obviously not everyone's favorite time of the year, but Hofstra tries to make it a little bit easier for students. The Office of Student Leadership and Activities, or OSLA, provides Stress Busters events for students to help them relax and close off the semester on a high note! These events vary from free grab and go breakfasts, pet therapy sessions, yoga classes, and even free professional massages! These are for sure events that everyone should take advantage of, so make sure you do not miss out! 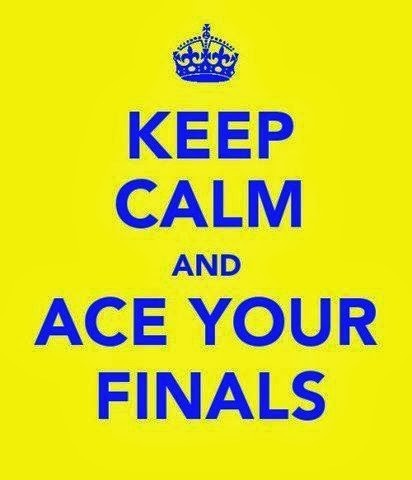 It's so important to stay relaxed during finals week, so let OSLA help! Stress Busters events start December 12th!